The ‘Statement of Affairs’ is not as sinister as it sounds. You don’t need to declare all your romantic entanglements to your spouse; it is merely a calculation of your income and outgoings. Before a court can make a ruling on your bankruptcy they need to make sure you can repay at least twenty-five percent of the outstanding debts. To do this they have to fill in the Statement of Affairs. What is the Statement of Affairs? A statement of affairs is a sworn document revealing how much you owe to each creditor, how much money you have coming in and a comprehensive list of your disposable assets; such as your home and car. Allowances are made for food, utilities and other necessary expenses, but you will not be allowed to claim for unnecessary luxuries. The Statement of Affairs also details how you got into so much debt originally, such as losing your job or suffering a spousal bereavement, as this helps the court to decide if it was deliberate on your part. The answers in this section could have a bearing on how lenient the court is with you. The Statement of Affairs is a very detailed document and you may need help from an official source to fill it in correctly. The next twelve months will be hard, but there will be an end to your problems if you adhere to the order and are truthful. Remember, the Trustee will look carefully into all your claims, dishonesty now could cost you more. The Statement of Affairs contains a Declaration of Insolvency on which you will need to swear an oath in front of an officer of the court or a solicitor. If you swear your Statement of Affairs in the County court you will not be charged for doing so, but if you decide to swear it in the High Court with a solicitor present you will be charged the sum of £7. If you are declaring bankruptcy as a married couple, each declaring bankruptcy, then you will both be liable for the £7 fee unless you apply to go bankrupt jointly. You will not be able to pay the fee with your debit or credit card; you must pay by cash, postal order, Bank or Building Society or a solicitor’s cheque. 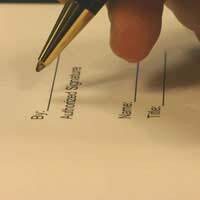 Your Statement of Affairs MUST be filled in using capital letters and black ink. The staff in the court can advise you on what to do and how to fill in the forms, but remember they can not give legal advice, if you need that use your solicitor. If you opt to go for the County court option you will need to give them two signed copies of the completed bankruptcy documents before they can consider you for bankruptcy, whereas the High Court only requires you to deliver one signed and dated copy. If you are a partner in a business or run your own business you will need to fill in a different Statement of Affairs form. Don’t forget that as part of your bankruptcy ruling you will be required to close your business, and if you employ people they will be dismissed. It is a good idea to complete a Statement of Affairs regularly, even after dismissal, although you won’t need to have it sworn, as it will help you to keep track of your finances and help avoid any chance that you get into difficulties in the future. It will show you where savings can be made and help to cut out unnecessary spending.